Your wedding is one of the most special of all the days of your life. As you plan it out, you'll want to make sure that each and every single detail is done precisely as you want. One of the most important parts of your wedding are all of the people involved. Like many residents of Byron Bay, you want the right official to do the actual ceremony. You want someone who speaks from the heart, cares greatly and has the ability to affirm your love in front of your family and friends. You also want someone who makes you feel comfortable from your very first encounter. Your celebrant should also be someone who knows how to create a moment that you'll remember forever. This is why it's important to allow enough time to speak closely with potential candidates. The right person will everyone feel they are part of a truly special wedding ceremony infused with love. Keep in mind that popular celebrants may be booked well in advance. If you're going to have your wedding during a popular time of the year for weddings, you may have to get in line. This is why choosing a celebrant should be at the top of your wedding to-do list. You want to allow at least several months to find the right person and make sure they can make it that day. As a bride to be, chances are that you know lots of other brides and those who have just gotten married. Now is the time to take advantage of your personal networks. Contact others who've just been married. They can help you make sense of choosing the celebrant process. They can tell you how they did it and what they liked best about the person they hired. If you are attending lots of weddings, now is the time to see celebrants in action. Watch carefully as they perform the ceremony. If you find a celebrant that you like, now is the time to act. There's nothing wrong with taking a few moments to speak to the celebrant after the ceremony. Many celebrants can speak freely about their services and how they can help you and your groom. Most celebrants have websites. The website will typically detail the kind of services they provide as well as any available dates. A website may also include other details that are vey useful. Testimonials indicate information from prior clients. Social media can also provide a useful tool that lets you sort through your potential choices. They can indicate what people liked about the person and perhaps what wasn't quite as ideal. It's a good idea to contact potential candidates and ask for references. Speak to the references personally. They can help indicate qualities such as the person's speaking voice that may not be readily apparent from a brief glance. Profiles can only go so far. You may see someone you love on paper. However, while such contacts are a nice way to sort through potential candidates, a face to face meeting is crucial. Many celebrants are available for a consultation. During this meeting, you can speak with the person and see if you have a rapport. You want someone who ideally shares your sense of humor, worldview and understands what really makes you tick. You also want someone who listens to your concerns and pays close attention to your overall goal for the wedding. Bring your partner with you to every single meeting. Allow you and your partner the right to walk away from the person if you just don't click. It's a good idea to bring a list of questions to any meeting. Your celebrant should be able to answer your questions in great detail. You'll want to know what price they charge. All fees should be laid out in advance before you begin any booking. Keep in mind that a celebrant may provide what appears to a good price. However, this price may not include additional services. You may need to pay extra for their travel expenses as well as having them attend the rehearsal services. A good celebrant will clearly lay out all their fees before they show up. Many couples have a distinct vision they want to see come to life. As you speak with a celebrant, they should be able to help you determine how to make this vision come to life. Ask them how many weddings they've done. They should be able to tell you about kind of ceremony they do. Some may work from a template that you can customize to your personal specifications. Others encourage their couples to create a personalized ceremony and provide couples with guidance that helps them design such a ceremony. The celebrant should be able to provide useful details that indicate exactly what role they'll play from the day they are booked to the conclusion of the wedding. While an overall impression is important, it's also essential to nail down the details. You'll want to make sure the celebrant you have in mind is available on your wedding date. If they aren't, they should tell you as soon as possible. You will also want to make sure you understand what costs are involved and then get a contract signed as soon as possible. A good celebrant can offer insights that will make your entire wedding function more efficiently. For example, they'll be careful in matters such as dress, making sure they adhere to your chosen dress code. They have a lot of experience with weddings. They'll be able to show you how to plan the wedding ceremony so that it all flows well. 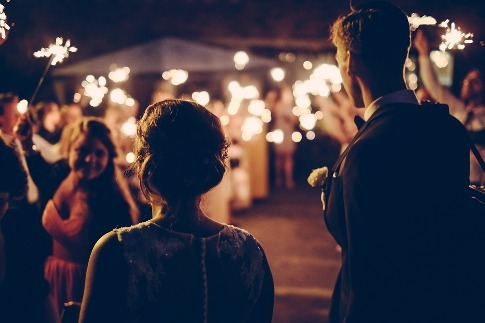 In short, the right wedding celebrant can make your wedding day the day you've always wanted.